MNS Green Living: Eco Kids Column: Turtles Are Smarter Than You Think! Eco Kids Column: Turtles Are Smarter Than You Think! Long, long ago, shy turtles were quite happy to live on land. That is, until one day, when some horribly hungry hunters pounced on a sleeping turtle. They struggled to carry the astonishingly heavy turtle back to their village, where they proudly placed it before their old chief. “Good job!” he declared loudly. “Errr…how should we cook him?” he pondered as he gingerly touched the tough shell. You see, no one, that is absolutely no one, had ever, ever caught, much less eaten a turtle before. “Huh!” said the gleeful turtle! “Go on, give it your best shot! No one is going to part me from my lovely shell,” taunted the bold turtle. “We’ll use sticks and stones,” growled a nasty hunter. “Stick and stones won’t break my shell. Nothing works expect drowning me in water….oops!” said the horrified turtle as his short flippers tried to cover his mouth. Unfortunately, it was way too late. The turtle’s fate was sealed. The hunters’ tummies rumbled terribly as they huffed and puffed to throw the turtle into deep waters. They high-fived one another as they imagined a feast that night. Then, suddenly, everyone went quiet. “Oh dear,” said one hunter softly. Two laughing green eyes were poking out of the water. “Not so fast, silly men!” said the turtle merrily. “From now onwards, I’ll stay safely in the water,” he said as he gracefully swam away. And so he was safe. For many, many years. Sadly, now turtles are no longer safe. Grown-ups and children from all around the world have stopped caring for the rivers and the seas. And they don’t let the poor turtle lay her eggs in peace. 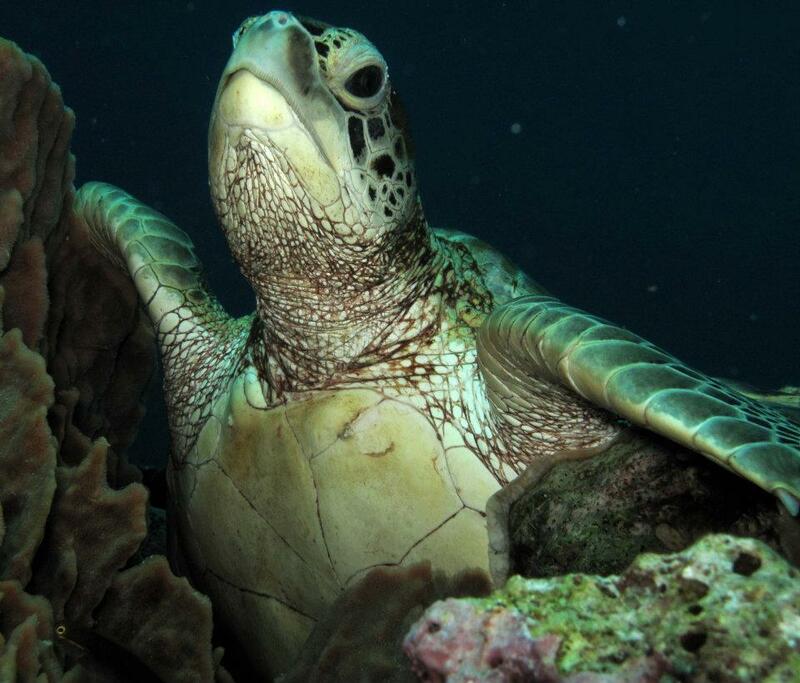 Take a look at what you can do to help the turtle. · Throw rubbish into dustbins. Don’t throw them into the sea or on the beach as turtles may eat them or get caught in them, causing them to die. · Stay away from turtles on beaches. The shy turtles will flee if they see you. · Stay at least 2 metres behind a turtle that’s already laying her eggs. · Say no to turtle eggs. If you eat all the eggs, there won’t be any more turtles in the world! · Don’t shine bright lights, play with fireworks or make campfires on beaches. · Avoid talking loudly and making a lot noise on beaches at night.